The above info came from Elwin Blaine Coldiron, and was edited by yours truly (contact me). 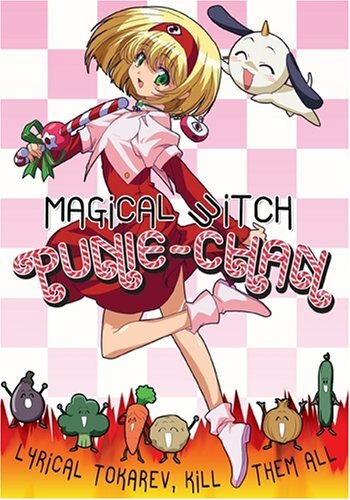 Imagine a magical girl anime – where the magical girl is a mixture of Ted Bundy and Charles Manson! Punie Tanaka has traveled to Earth to learn about our customs and culture... with a possibility of conquering our world in the future! Outwardly, she seems to be a cute and cuddly girl – but she has mad magical skills and her wrestling moves can put the best MMA (mixed martial arts) fighter to shame! The above description came from Elwin Blaine Coldiron, and was edited by yours truly (contact me).